Welcome to our game lab! At our Urban Game Clinic we play, test and modify our very own game designs. Most of the games are still in development when they are brought into our clinic, we then play them and see what needs to be changed. 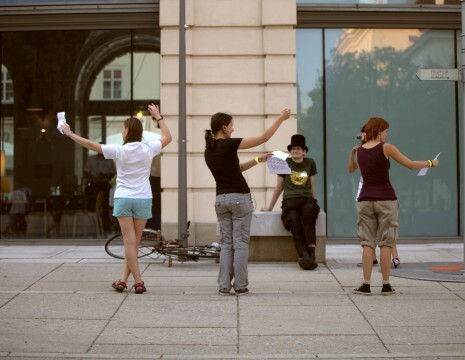 The Urban Game Clinic is presented by Play:Vienna and No Hidden Meaning.